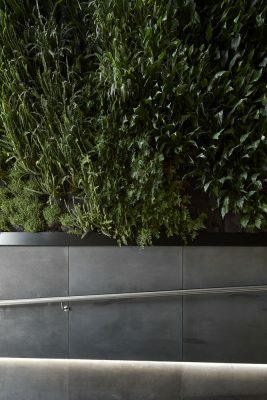 The General is situated on High Street, the inner figurative heartbeat of Melbourne’s north inner-suburban culture. 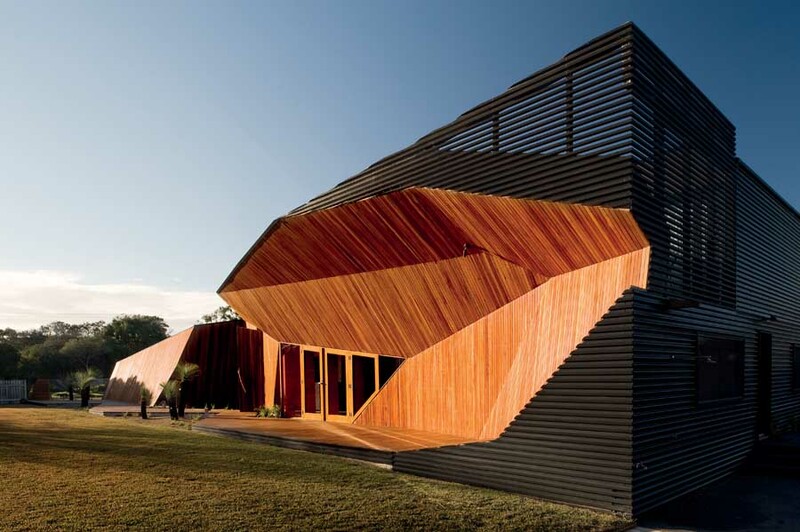 It facilitates easy access to the major activity centre where community and involvement comes in the form of neighbourhood festivals and arts events throughout the year. Now heavily gentrified, entry into the suburb is becoming less-affordable for those seeking to make the community and culture their new home. 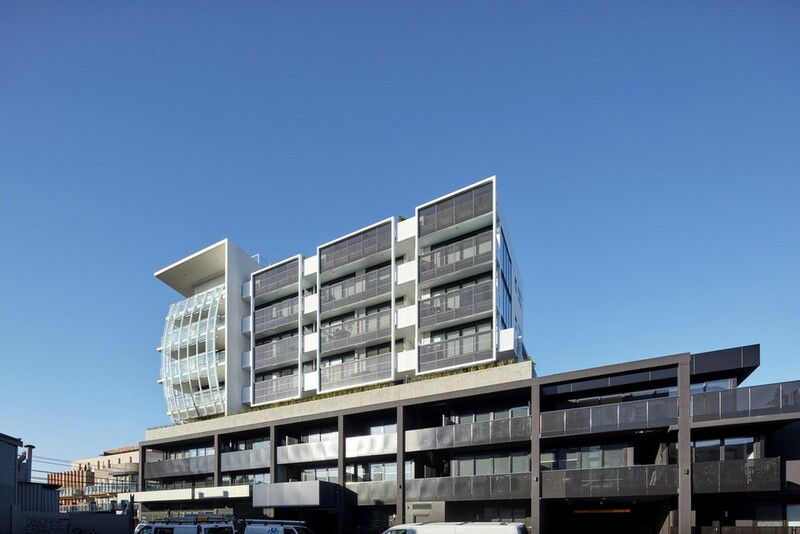 The General is the first building of its size to offer a response to the High St. area; providing high-quality architecture for new locals in an affordable way. 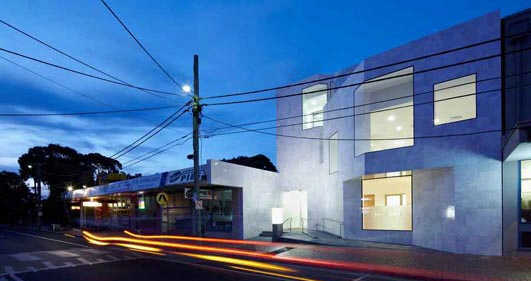 C.Kairouz Architects set the precedent early; to achieve a 7 star energy rating for The General. They were also adamant on using the Onyx Solar photovoltaic glass provided by Australian distributors, Environmental Technology Solutions (ETS). 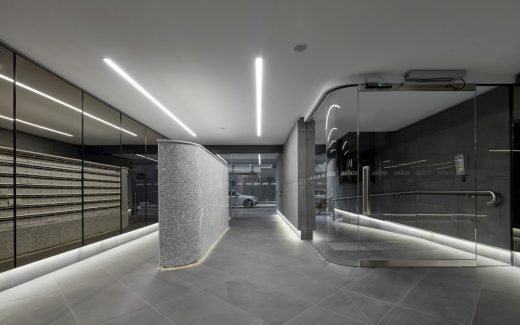 This new technology, among several other sustainable solutions were put forth by C.Kairouz Architects to the developer and were successfully integrated into the project. The development is affectionately labelled The General, the nickname of Kairouz’s father. 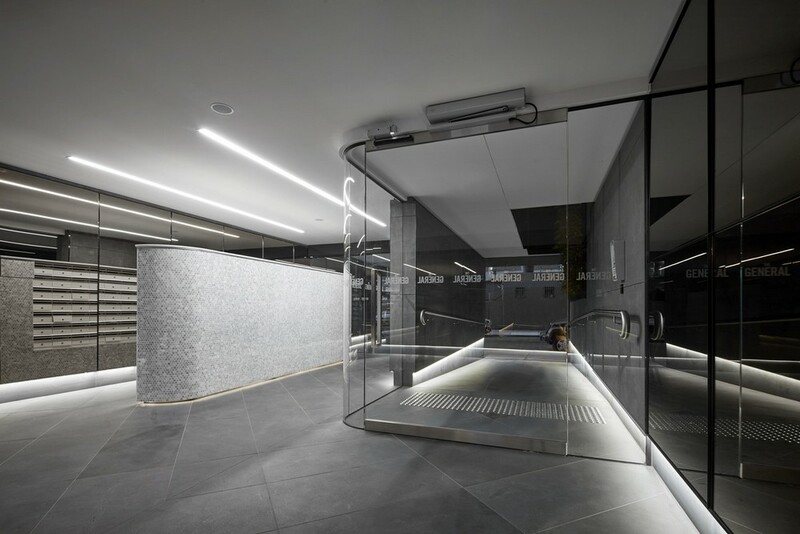 Built at the former site of the family’s butcher business, the project honours his journey as a migrant to successful Australian business owner. 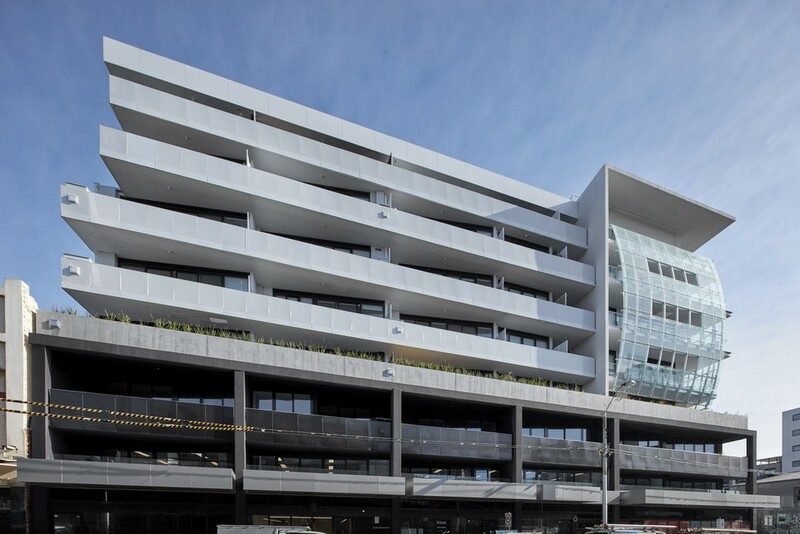 The General’s memorable design is built upon approximately 2087m2 of land size over 6 titles and comprises of 87 apartments across eight storeys with three levels of underground basement to service them. Furthermore, the first two levels are dedicated to mixed-used spaces to accommodate street-frontage restaurants, retail stores and offices. 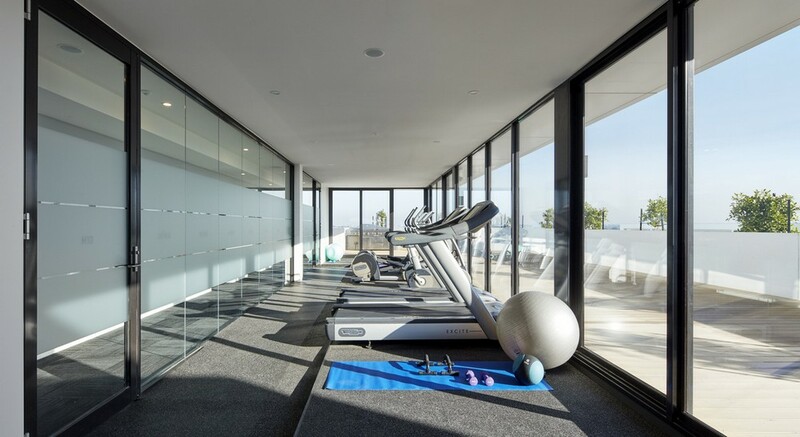 Level 3 sees a large setback carried all the way to the seventh level terrace, perched well above the the treeline featuring a communal gym and unhindered views of the CBD. The General is hollowed with three vertical voids which provide natural ventilation and light to the bedrooms in each apartment. 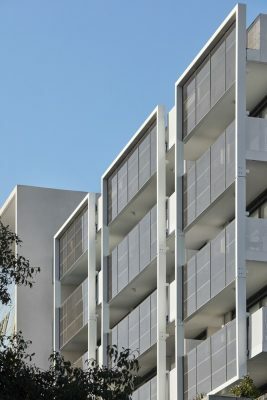 This alternative method prevented the need to make each apartment wider to allow adequate light and air flow. Each void is painted with white reflective paint to carry as much light as possible into the adjoining bedrooms. 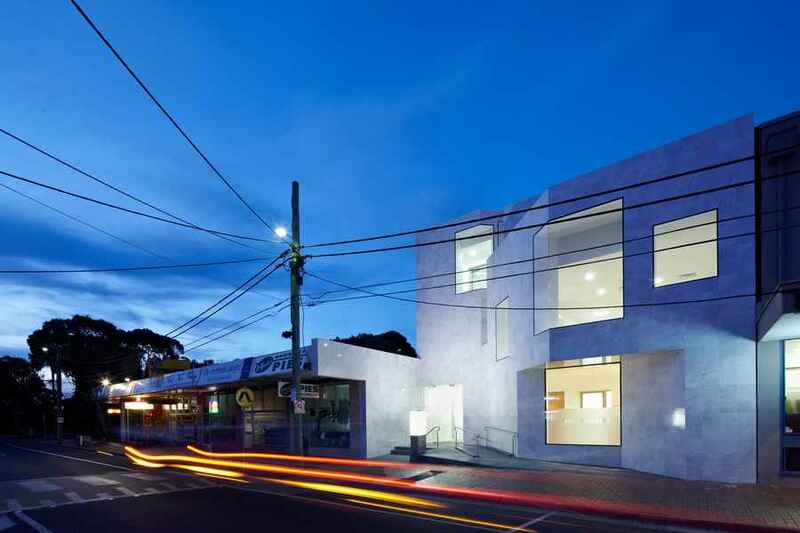 The prominent corner location of the site presents a key design opportunity and the architecture seeks to engage by framing and wrapping the corner in a single feature with a curved secondary facade which is glazed with patterned glass that can be illuminated to have a beacon-like effect. This patterned glass is in reference to Kariouz’ father, with a subtle image of a Victorian general on a horse. 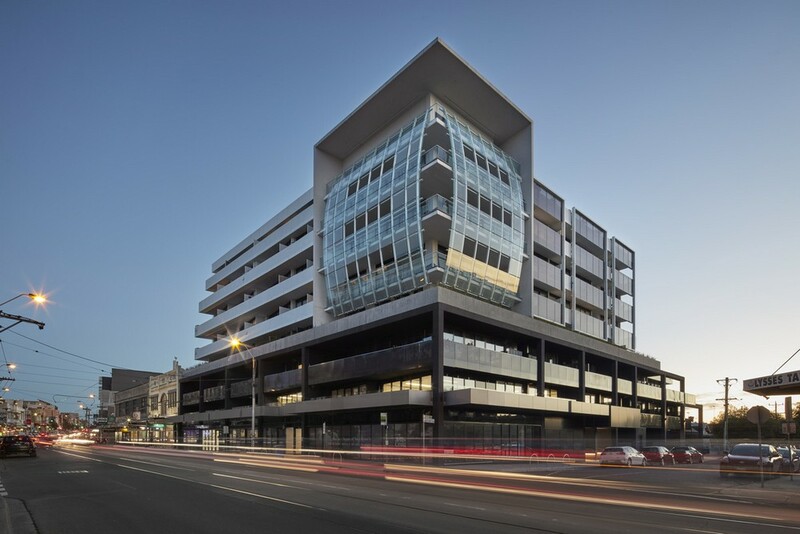 Viewing the building from the corner of High Street & Bent Street, this feature is juxtaposed by continuous panels of Onyx Solar photovoltaic glass bands across the northern facade, and rhythmic bands of horizontal balustrading and glazing on the eastern facade. Both these elements provide good transparency from inside the apartments as well as providing a level of engagement to the street. 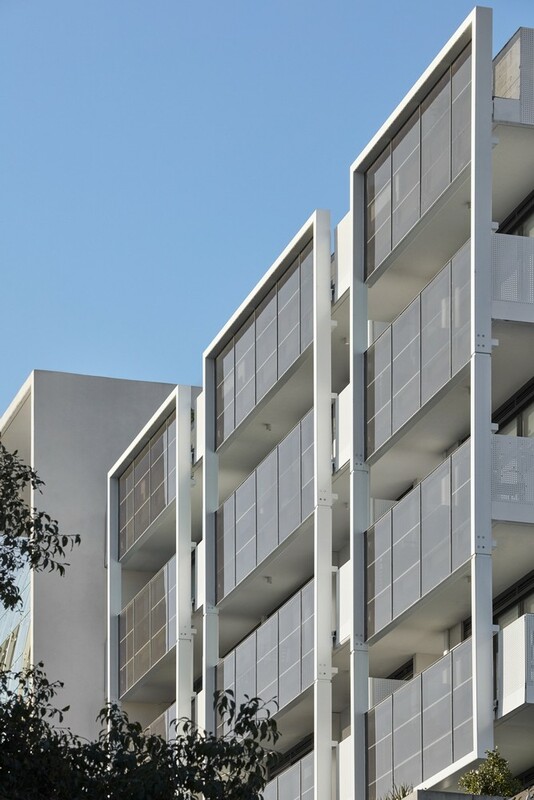 All external windows of each apartment are external/residential double-glazed. 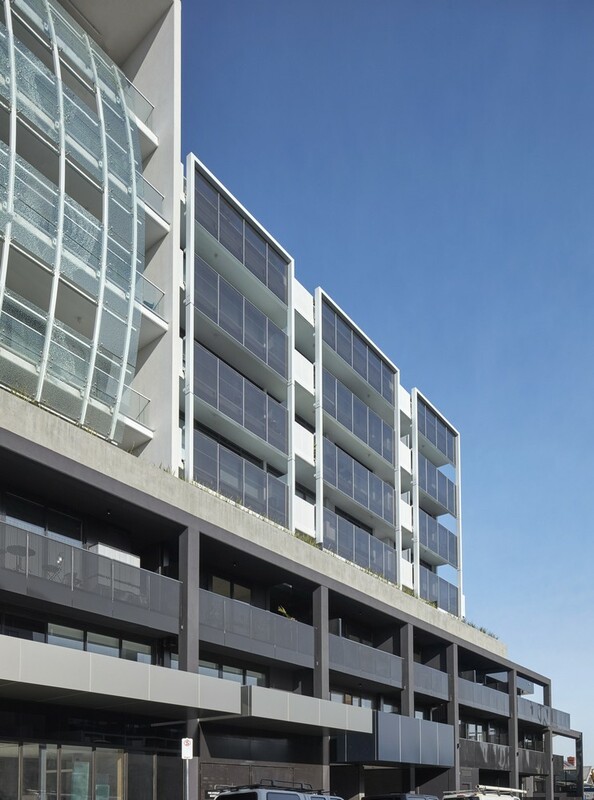 The Onyx Solar photovoltaic glass supplied by ETS across northern facade is used as balustrading that covers an area of approximately 130m2. 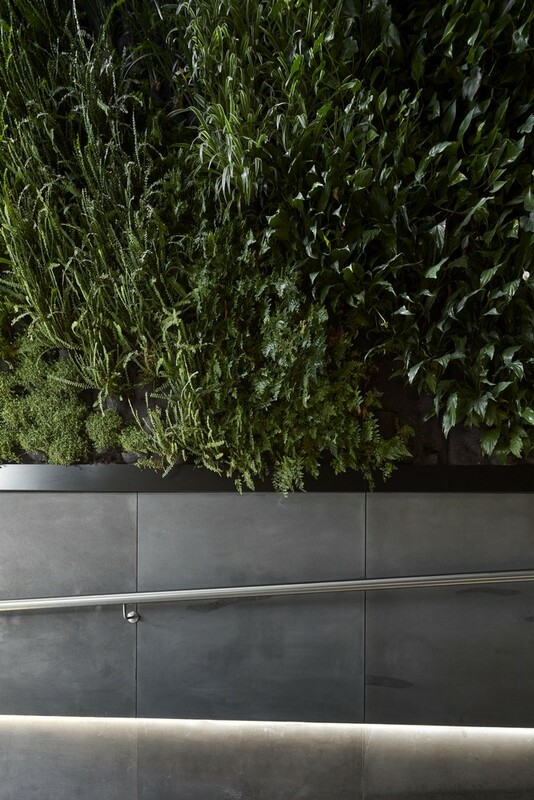 C.Kairouz Architects worked closely with ETS to develop the product to ensure it could be engineered into a sufficient balustrade with adequate strength and resistance to force. 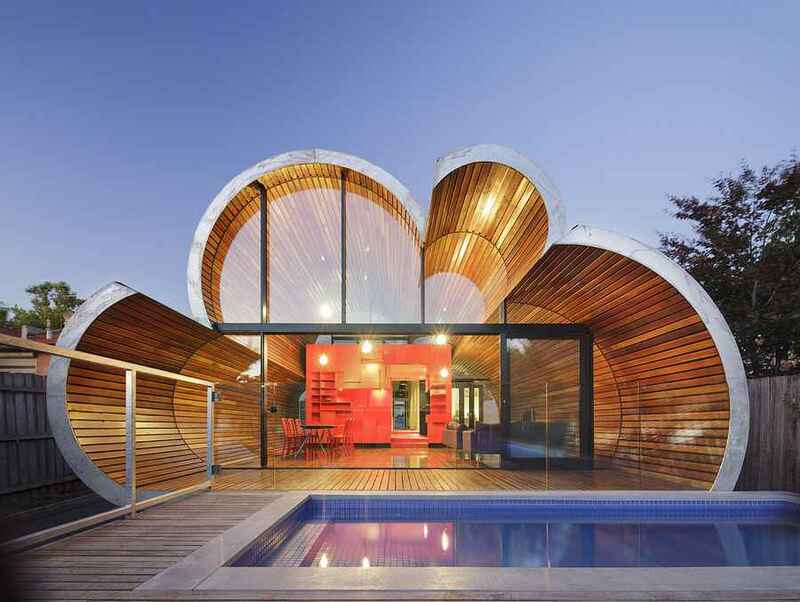 As such, it is the first building the Australia to use the product in this way, and makes a bold statement on what can be achieved with sustainable solutions in the country. Technically speaking, it displays a solar factor of 10%, making it an ideal candidate to achieve control over the interior temperature. The product has been proven to yield low-emissivity properties, provide a UV and IR filter, promote natural light, and generate power. Statistically translated, this allows The General to generate 2,075 kWh per year and prevents the release of 1.95 tons of CO2 into the atmosphere. This energy may be used for light, power and mechanical equipment in common areas. 137 bicycle parks (100 flat top & 37 Ned Kelly) are located in the basement carpark, nurturing the local council’s initiative of green infrastructure in the area, with bike paths on most main roads coming off High Street, as well as the nearby bicycle highway on St. George’s Road. Furthermore, 25,000L of rainwater tank capacity located in the basement collected from the rooftops is used to flush 50 toilets. 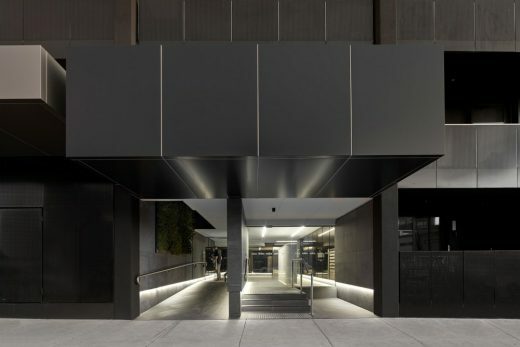 A substation located in the basement was mindfully added to the buildings framework and also integrated at the developer’s expense to take the electrical load off the existing power core infrastructure. Being the first of its kind in size and sustainable solutions for the area, The General’s energy consumption minimisation strategy is now a precedent for other developments in the area, and it aims to encourage and inspire other sustainable developments in the future. 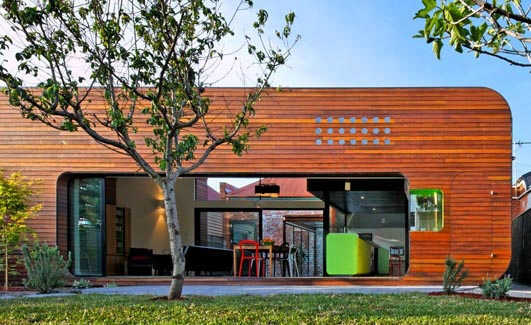 Due to the onerous site conditions involving strict height limitations, C.Kairouz Architects successfully negotiated a complicated town planning process by where additional dwellings were granted in response to The General being situated on multiple titles and its proposed energy consumption minimisation strategy. 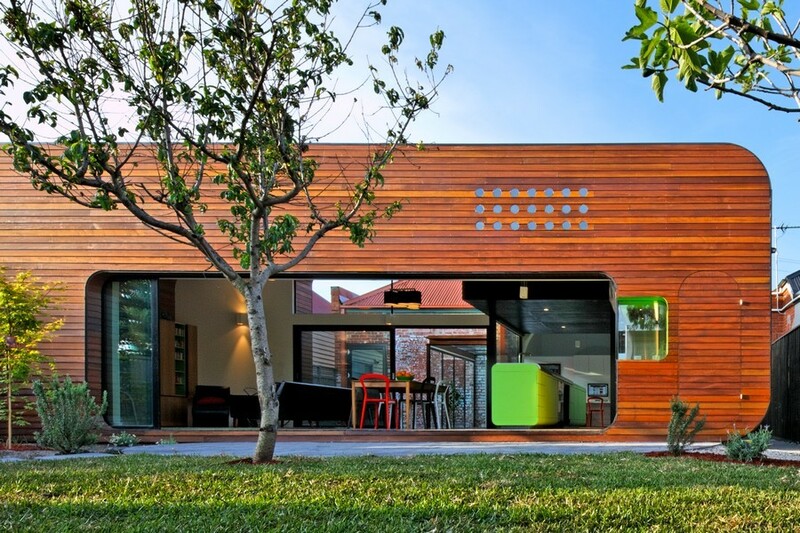 This moment was integral to C.Kairouz Architects’ ability to maximise the potential of the project. Post-tensioned reinforced concrete was used in preference to conventional slabs to maximise ceiling heights. Multiple anchors went into bored piers both under High Street and the neighbouring site to ensure structural stability during construction. Precast tilt panel walls were used for each floor, and the south side of the building uses panels with a pre-formed pattern for a bold aesthetic. C.Kairouz Architects also had the challenge of developing a solution for substation installation and access in the basement. This meant that part of the corner of the building had to be redesigned to allow for truck and craning logistics, but also adhere to the flood level to ensure the substation is kept safe from water. 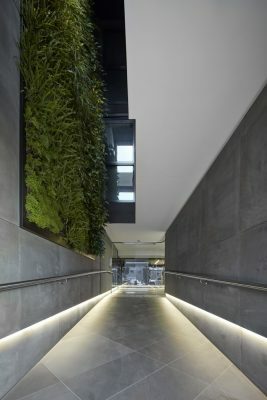 The first two levels are dedicated to mixed-use spaces that accomodate street-frontage restaurants, retail stores and offices. This encourages local business, as well as upholding the urban integrity of the Northcote area by continuing the strip-shop aesthetic at street level. Externally, green-centric transport ideologies are serviced with numerous bike racks situated in the basement. 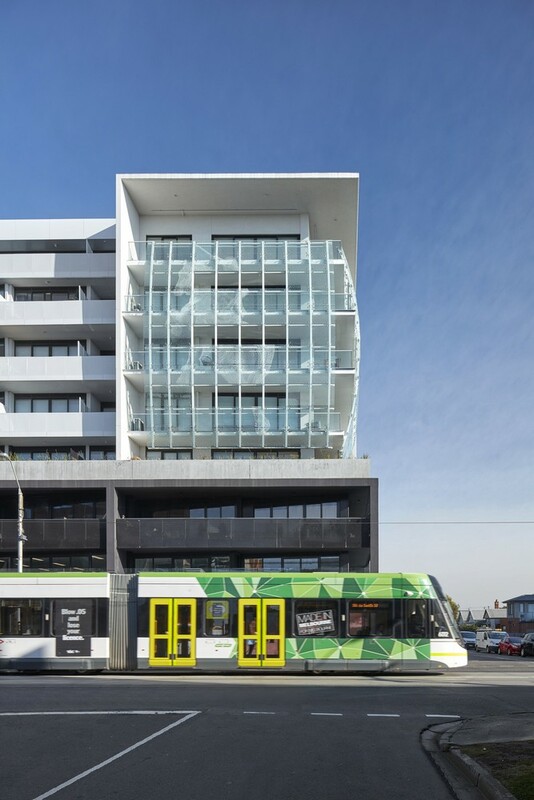 A major tram stop into the CBD is located on the corner of The General, and both Northcote & Croxton stations are only 500m away making green suburban travel easy and effortless. It is also walking distance to Northcote shopping complex, Welcome to Thornbury food truck park, countless restaurants and cafes, pubs, bars and live music venues. The General offers a coordinated approach to public and private interests by combining the community interest into a forward-thinking project for Cedar Group (developer) which shows initiative and leadership in the architectural field. The General was visualised to be a very exciting structure, to stand the test of time in its design and its use of cutting-edge technology on the facade; a combination which will last numerous years and trending architectural phases. It’s energy consumption minimisation strategy is now a precedence for all large-scale developments in the area, achieving a combined average of 7.5 star efficiency rating. Handover was Nov 2017 and all apartments have been sold.